USS Indiana, the 16th Virginia-class fast-attack submarine, was officially commissioned on September 29 of 2018. A commemorative hardbound book is being published to celebrate and cement this momentous event’s place in history. 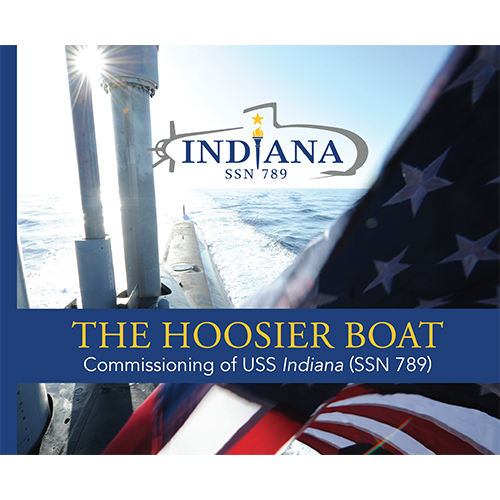 This coffee table-style book will be complete with an overview of the history of Indiana, former namesake ships, never before published historical documents and photos, rich Naval history of Indiana, Hoosiers in the Navy, the Indiana crew and more!